Elizabeth Bailey is a Health Advocate and the Author of The Patient’s Checklist: 10 Simple Checklists to Keep You Safe, Sane and Organized . The book provides 10 user-friendly, common-sensed based checklists to help patients and caregivers navigate and better manage and monitor the complexities of high tech hospital care. As a producer, director, and vice president of video production for several record labels, Elizabeth Bailey used checklists to oversee hundreds of music videos for a wide range of artists that included Whitney Houston, Sheryl Crow, Sarah McLachlan, Metallica and Rod Stewart. While helping her father through a long hospitalization that was the result of medication errors and miscommunication, she realized how production checklists could be adapted to help patients partner with their providers to get better, safer care. She embarked on a career change, working on The Patients Checklist for several years and enrolling at Sarah Lawrence College where she is currently completing studies for a Master's in Health Advocacy. She has worked as a Patient Representative at a major teaching hospital in New York City. She lives with her husband, son and dog in New York City. 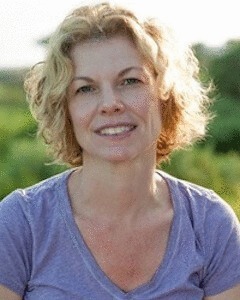 You can visit her website ThePatientsChecklist.com, follow her on Twitter @PatientPOV and connect on Facebook.